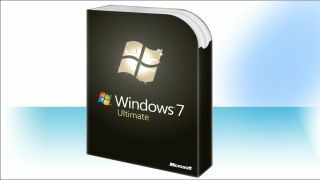 Windows 7 Ultimate, catch it if you can. Today is when retail sales of consumer editions of Windows 7 and Windows 8 stops. From today, original equipment manufacturers will no longer be able to bundle Windows 7 Home Basic, Home Premium and Ultimate editions as well as Windows 8 with PCs. You will still find computers on sale in the channel running these OSes but they are likely to be clearance or end-of-line stock. Windows 7 Pro however will still be available from OEMs for at least another year, targeting mostly businesses rather than consumers. The law of demand and supply means that some Windows 7 devices are likely to go up in price over the next few months even as Microsoft prepares for the launch of Windows 10. Businesses will still be able to get a downgrade path to Windows 7 Pro when they buy Windows 8.1 Pro for a foreseeable future. After all, the last thing Microsoft wants to do is alienate enterprise and business buyers. Windows 7 still accounts for the biggest share of the global desktop operating system market with the 13-year old Windows XP a distant second with Windows 8/8.1 being third. It is also very likely that you will find a big market for genuine Windows 7 licenses on auction sites but we advise caution as Microsoft's EULA (end user license agreement) could make any second hand purchases null and void. Check our review of Windows 8.1, Microsoft's current commercial flagship.